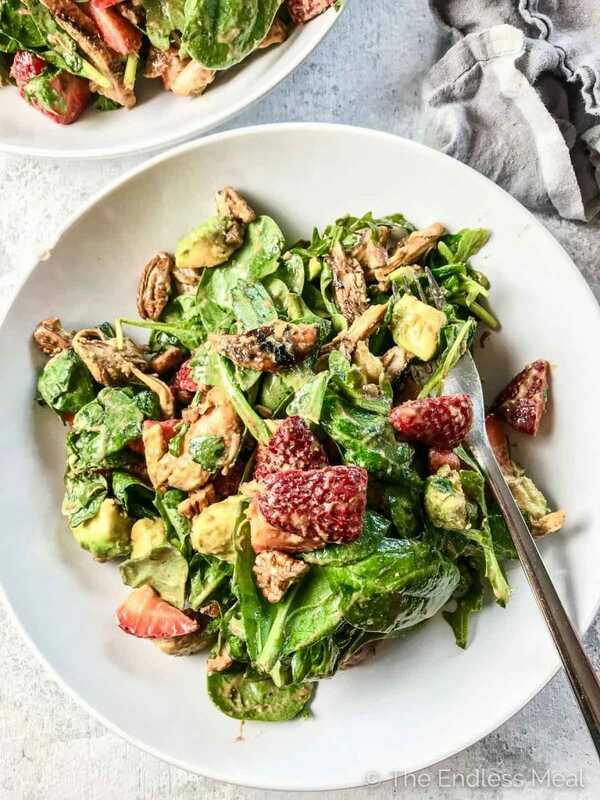 This easy to make and crazy delicious Grilled Chicken Salad is loaded with sweet summer strawberries, pecans, and creamy avocado. 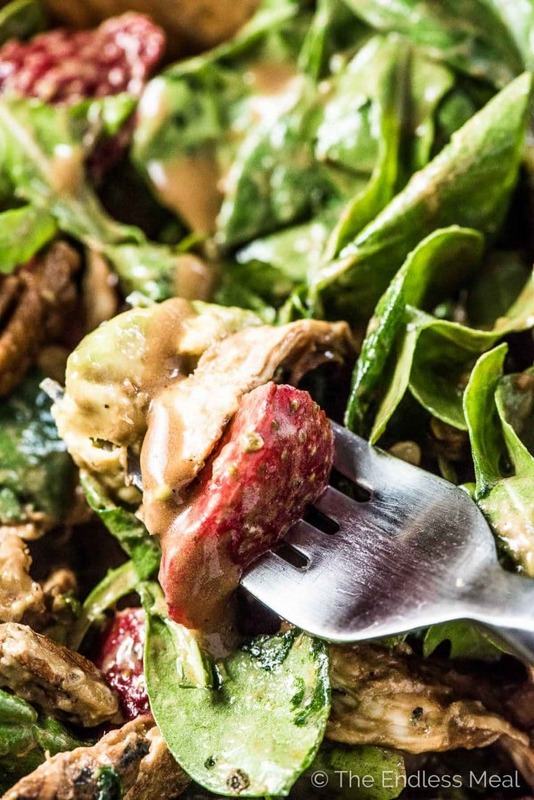 The tasty balsamic vinaigrette does double duty as the salad dressing and marinade for the chicken. 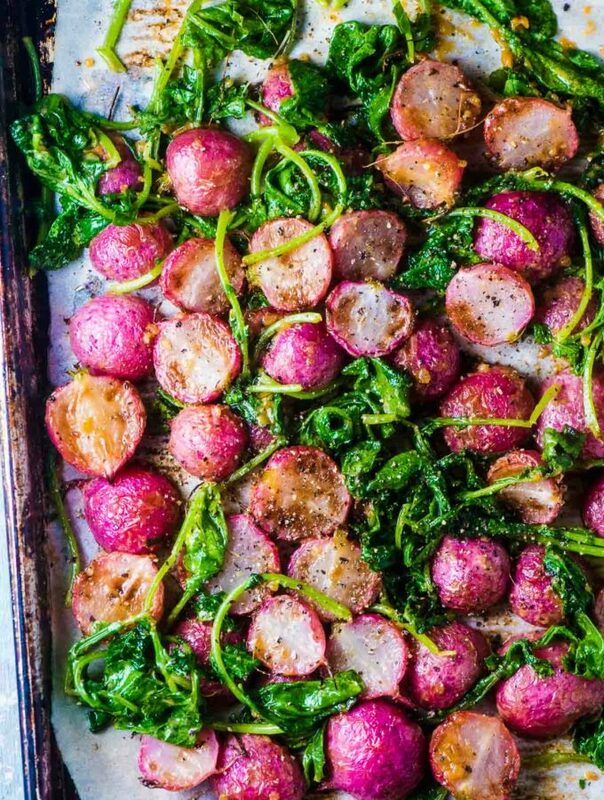 Healthy summer salads never tasted so good! Let the summer salads continue! ♡ Balsamic marinated chicken all deliciously charred on the BBQ because grilled chicken is EVERYTHING! 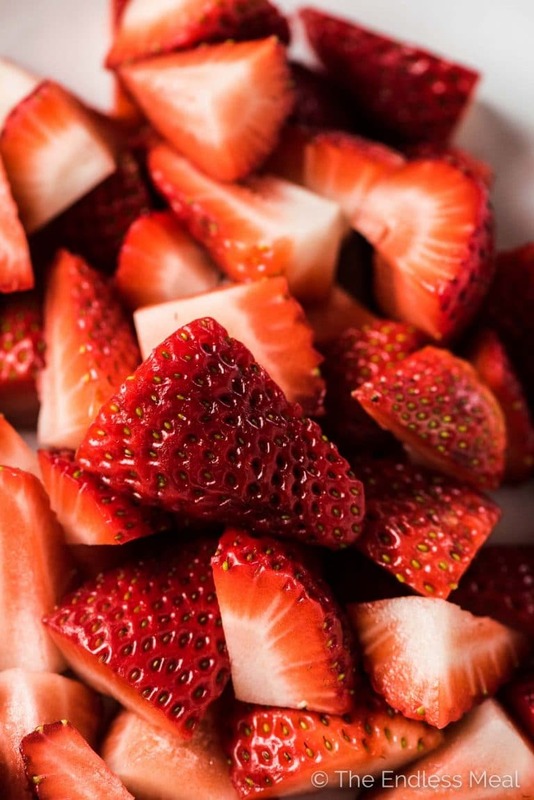 ♡ Summer strawberries. Lipstick red and sweet as candy. ♡ Creamy avocados are meant for salad. ♡ Crunchy pecans cause we all know that pecans are the best nuts out there. 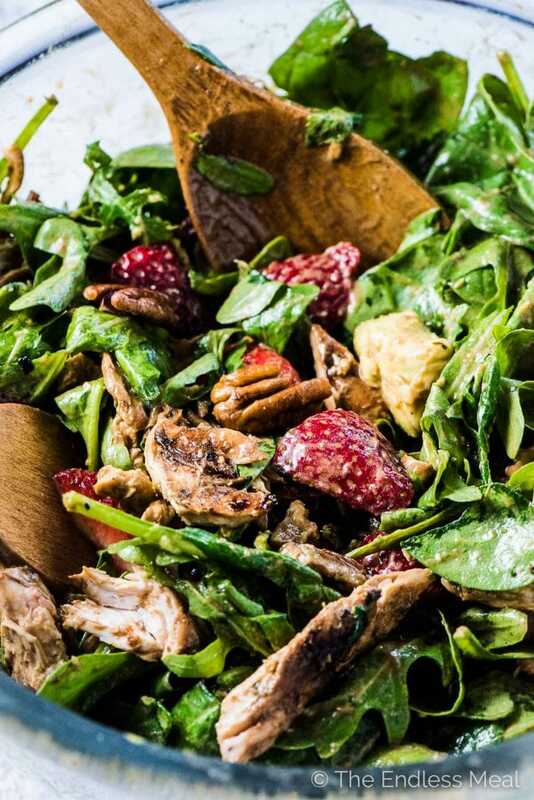 This grilled chicken salad is literally the easiest dinner salad to make. The balsamic dressing is what I like to unglamorously call a dump and shake dressing. 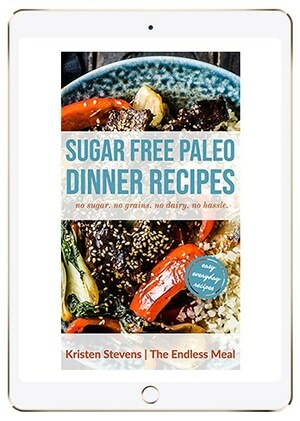 Dump the ingredients into a jar, seal the lid, and shake shake shake. So easy! Since the dressing double duties as a balsamic marinade for the chicken, once you dump and shake you've nearly finished dinner. Let the balsamic marinated chicken hang out on the BBQ for 15 minutes then toss everything together and eat dinner. See how easy that was? 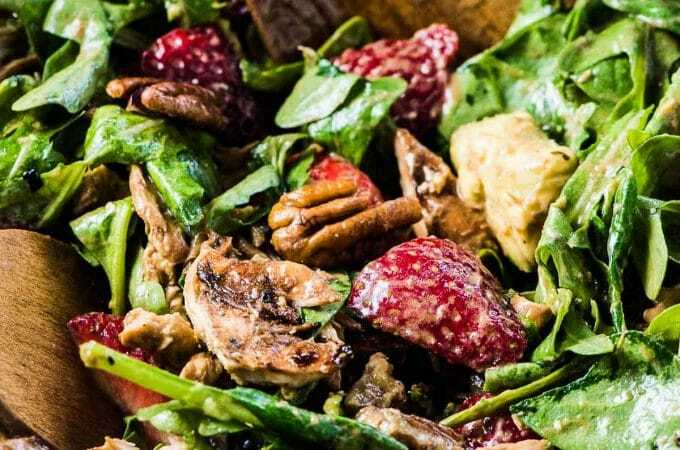 Place all the balsamic dressing ingredients into a 1-cup Mason jar. Close the lid and shake well. Put the chicken breasts in a container and pour 1/4 cup of the dressing over top. Turn the chicken so that it is well coated in the marinade and set it aside for 1/2 hour. 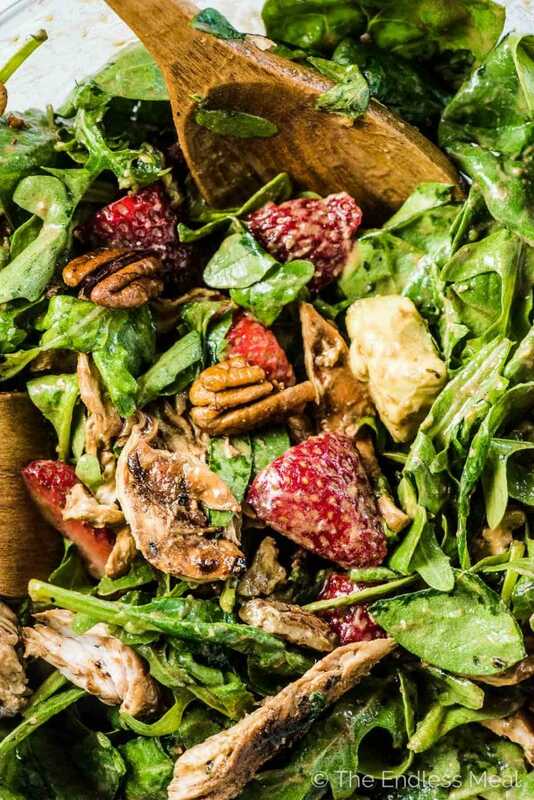 While the chicken is marinating, place the spinach, arugula, strawberries, pecans, and diced avocado in a large salad bowl. 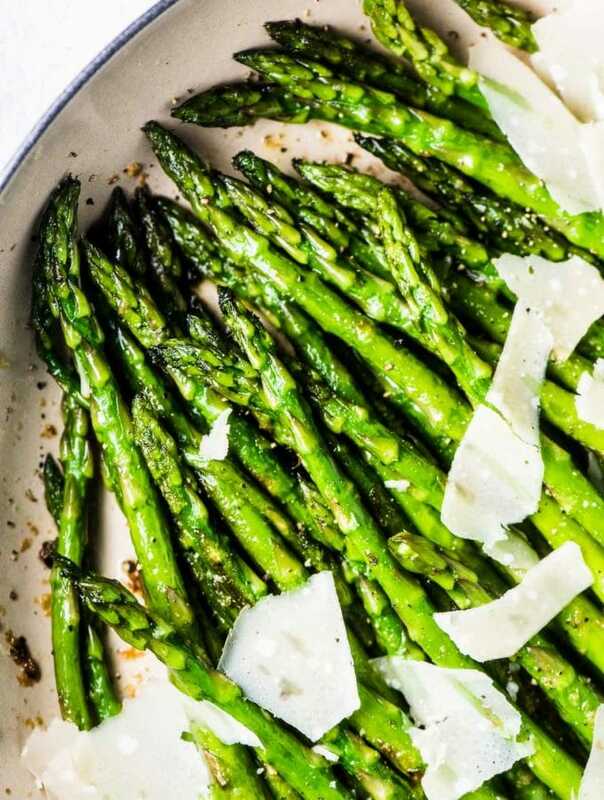 Preheat your grill to medium-high. Remove the chicken from the marinade and place it on your BBQ. Grill the chicken for 15 minutes, turning halfway. Remove the chicken from the grill and use two forks to shred the meat into bite-sized pieces. Add the chicken to the salad bowl, pour the remaining dressing over the top and toss to coat. Serve right away. This is the best salad ever! I can see why your man was raving about it. I’ll be making it again and again all summer! Haha well I’m happy to hear we’re not the only ones raving about it! !